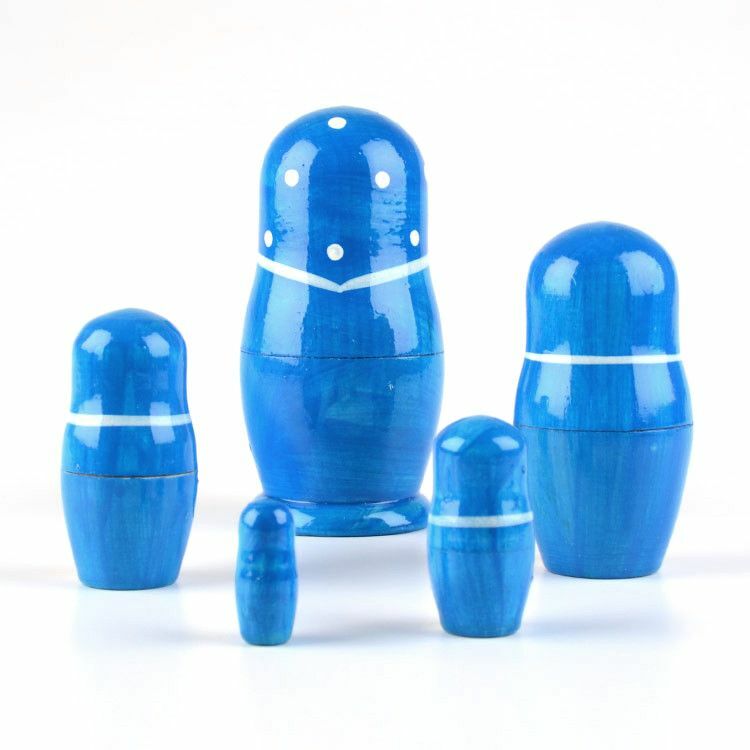 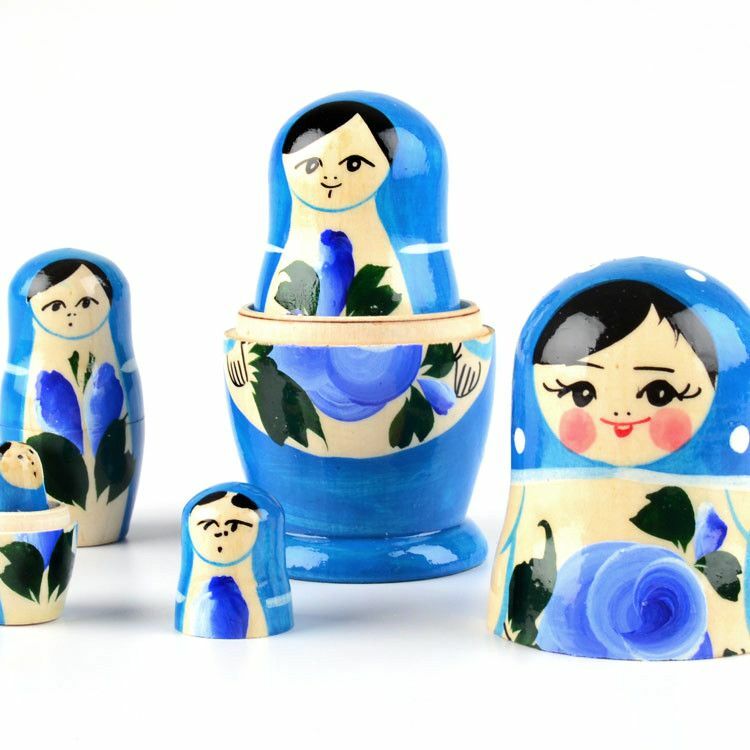 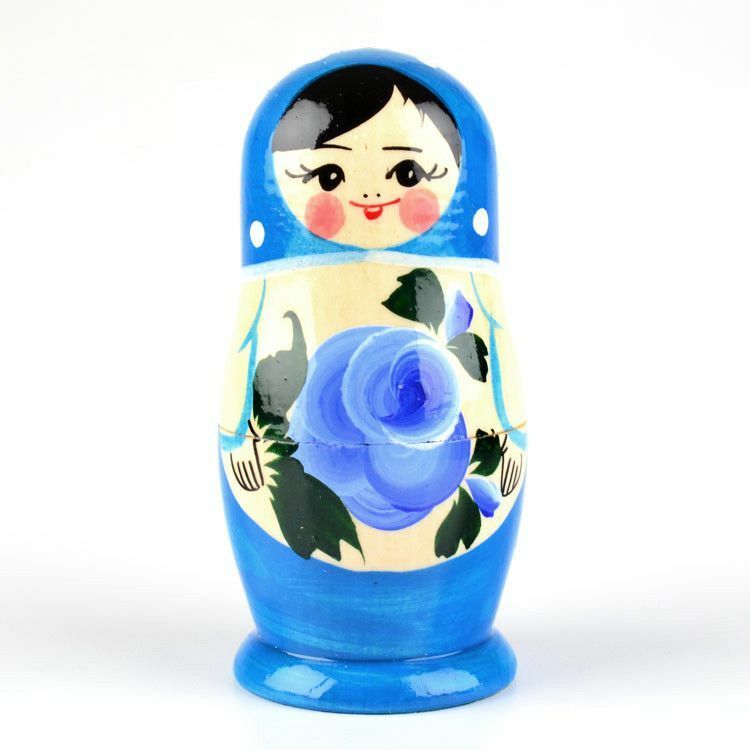 This beautiful blue matryoshka doll features a blue floral pattern on a blue background. 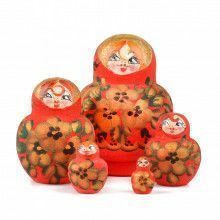 It is similar to the traditional Semenov dolls, but is different and special because of its coloring. 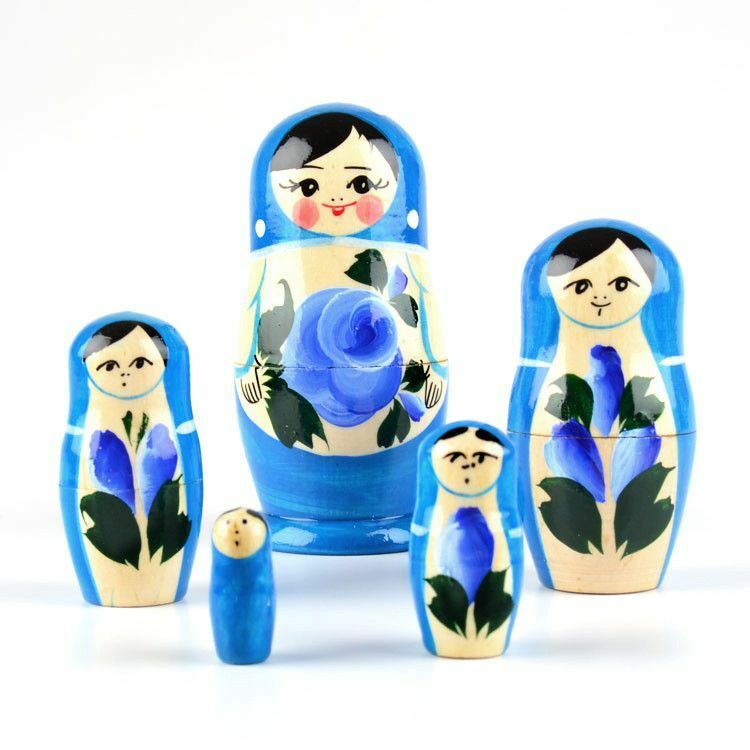 It stands Approximately 4 1/2" tall and contains five dolls total. 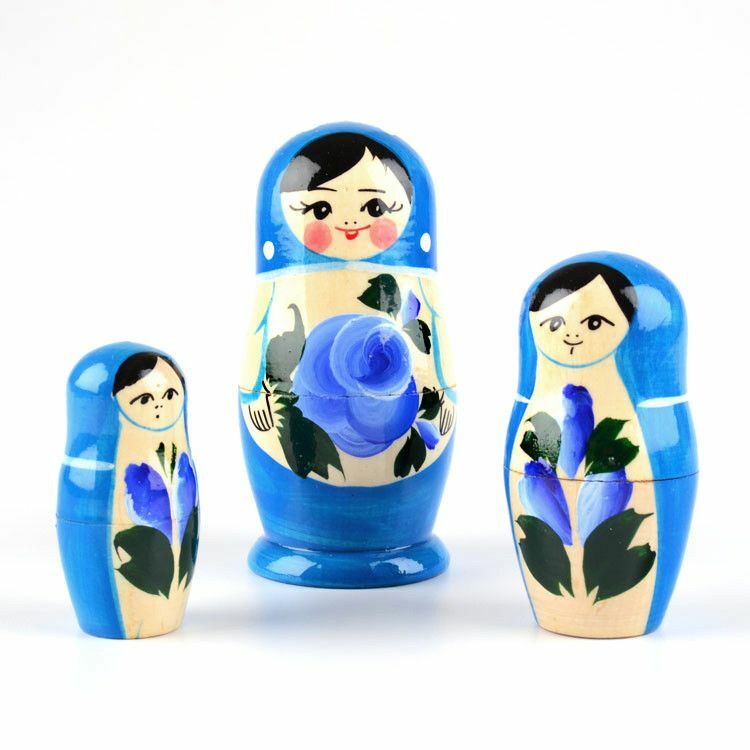 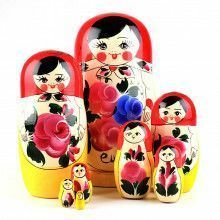 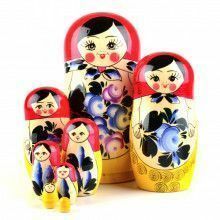 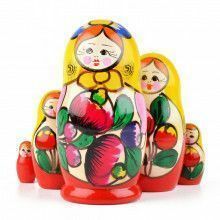 Enjoy handmade treasures anywhere in your home or office with a nesting doll like this one!